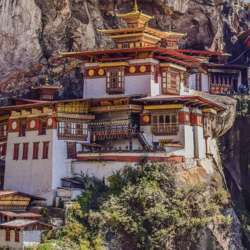 An All Women's Road Trip to the Land of High Passes - Bhutan in celebration of INTERNATIONAL WOMENS DAY from Protected content 2019. The trip starts & ends at Bagdogra, India. Lets get the adrenalin rushing with white water rafting at Punakha & short trek to the famous Taktsang Monastery, watch the sunrise from the Chele La Pass.